Once upon a time in Germany there was a magazine which wanted to keep up with the Zeitgeist, the spirit of the time. I, a graphic artist, was there. For the headings I designed >> Die überschrift (The Heading), a font consisting purely of capital letters. The letters are extremely matter-of-fact, very narrow and very modern, but again, only upper case. A half year later the magazine no longer existed. 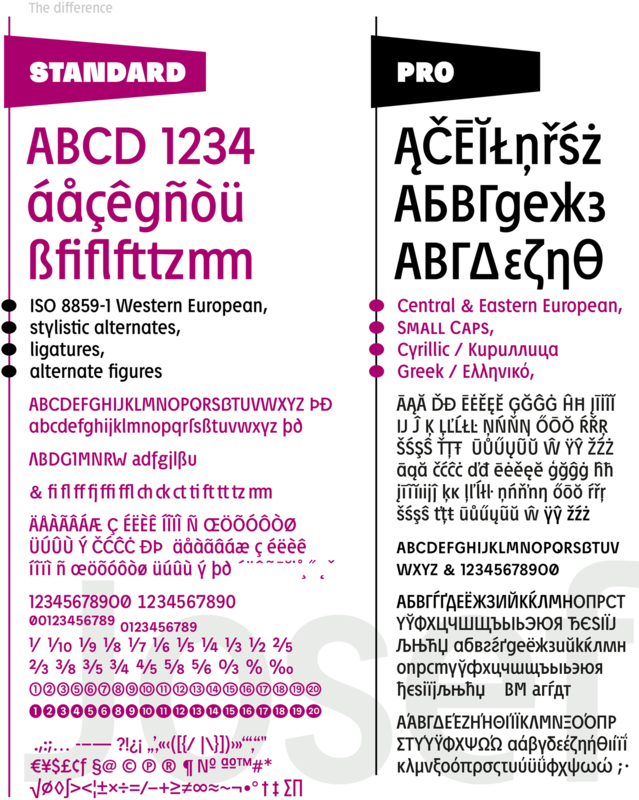 Left behind was the idea to create a complete font from the successful ”überschrift,“ a typeface including lower case letters, accents and everything else which belongs. It took a few years before I finally made the idea concrete — first the normal version and later the bold and heavy versions, supplemented with the appropriate italic. Last of all, light and extra bold versions were added. The name of the font is dedicated to my grandfather, Josef Zimmermann, who died right at the completion of the first version. 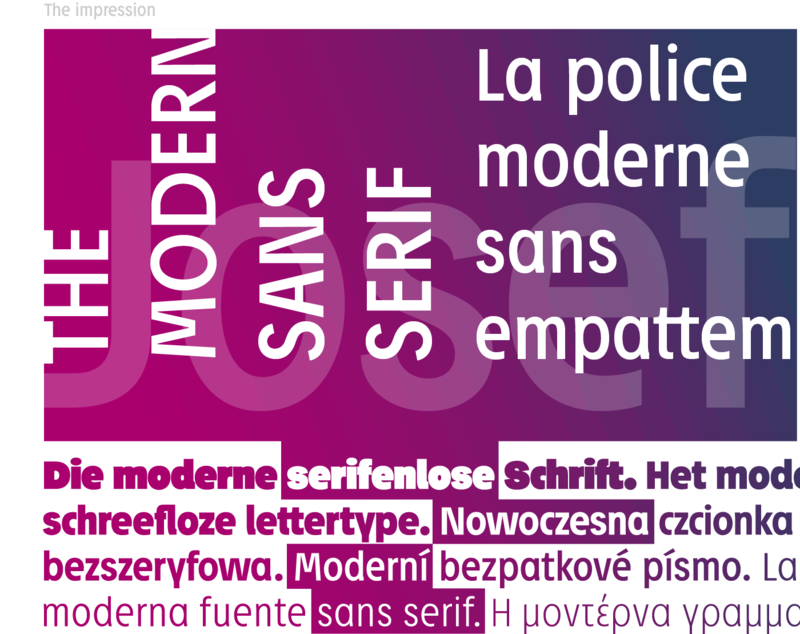 The open round forms of many of the letters provide the most striking characteristic of JOSEF, causing the typeface to appear gentle and pleasing. The capital letters from ”überschrift“ make up the framework of JOSEF. All of the letters are recognizably narrow, almost ”condensed,“ the forms being very functionally shaped. The construction of the ”triangular“ upper case letters A M N V W as well as v and w, especially catches the eye with the shafts joined together as beams are stacked upon each other. With this construction JOSEF displays a down-to-earth touch. The ”round“ letters emphasize the condensed open oval; the light counter forms provide the rhythm of the typeface, the ”modern“ design of a and g being especially contributive here. Contrary to the classical sans serifs, a few letters were given light echoes of serifs which promote fluency: a d l are displayed below the line in a reading direction and end in a compressed but also very short serif style; on m n p r the upstroke is gently displayed and on u the downstroke. For all the typo-maniacs among you designers there are alternative forms for a number of letters in Josef: A B D G I M N R W and a d f g j l ß u. Even an antiquated ”long“ s and an upper case ß is available. Plus, Josef includes numerous ligatures which can save that little bit of space where required and which allow the typeface to appear more variable: ch, ck, ct, fi, fj, fl, ff, ffi, ffl, ft, mm, ti, tt, tz. 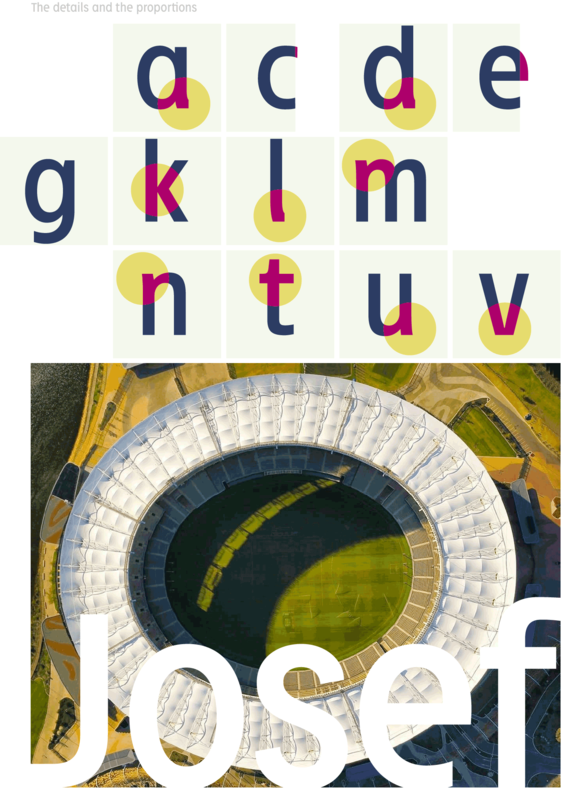 For the 2010-Edition Josef all letters were revised and the kerning improved. 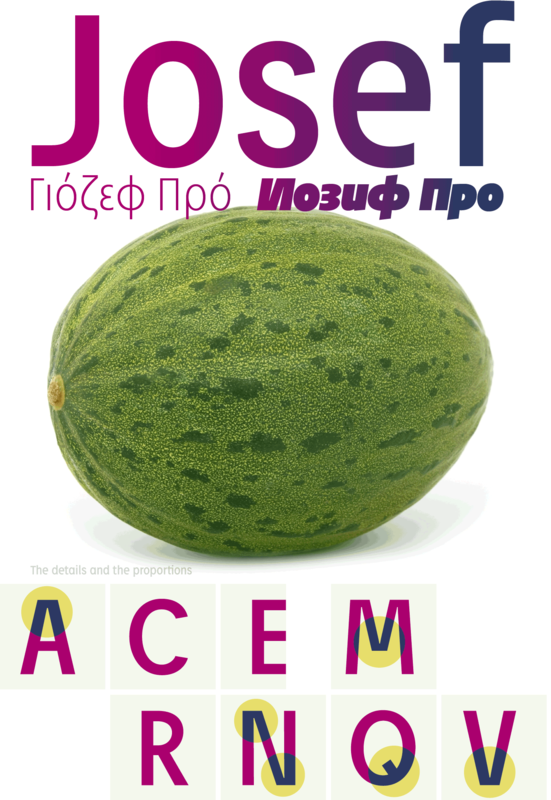 In addition to the ”normal“ Latin character set (western Europe/Scandinavia: Latin 1) Josef Pro offers support for all other Latin-type systems (central and eastern Europe, Scandinavia, the Baltic, Turkey: Latin 2, Turkish, Baltic) and also Greek and Cyrillic. 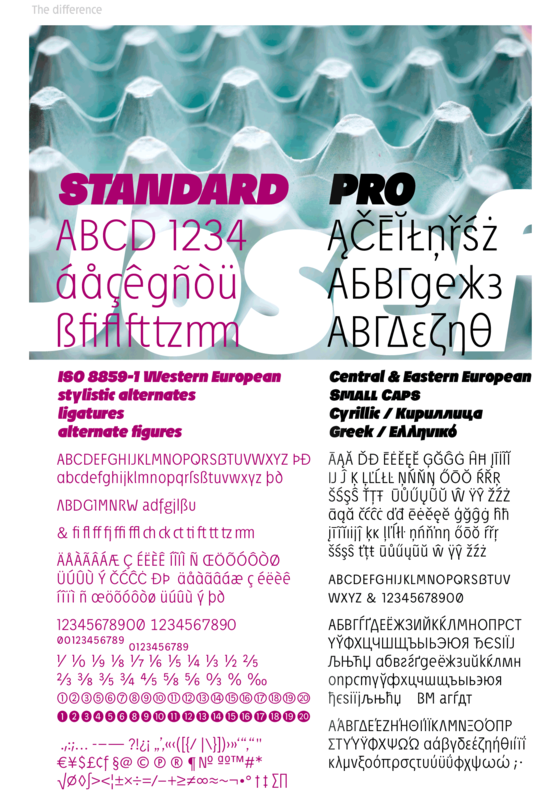 osef Pro includes normal numbers (with varying width) and additional tabular numbers (with constant width). 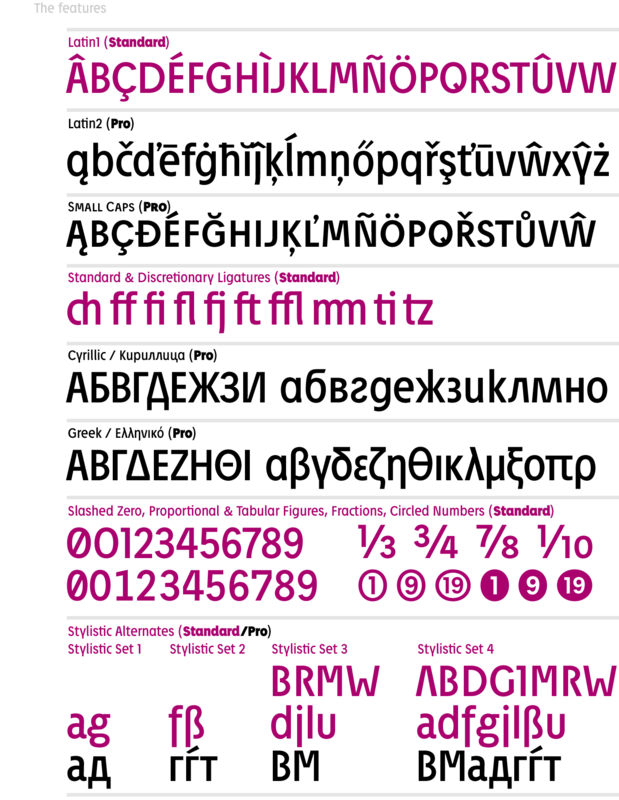 Stylistic Alternates: replaces the letters A, B, D, G, I, M, N, R, W, a, d, f, g, j, l, ß, u in each case with the alternative variant. 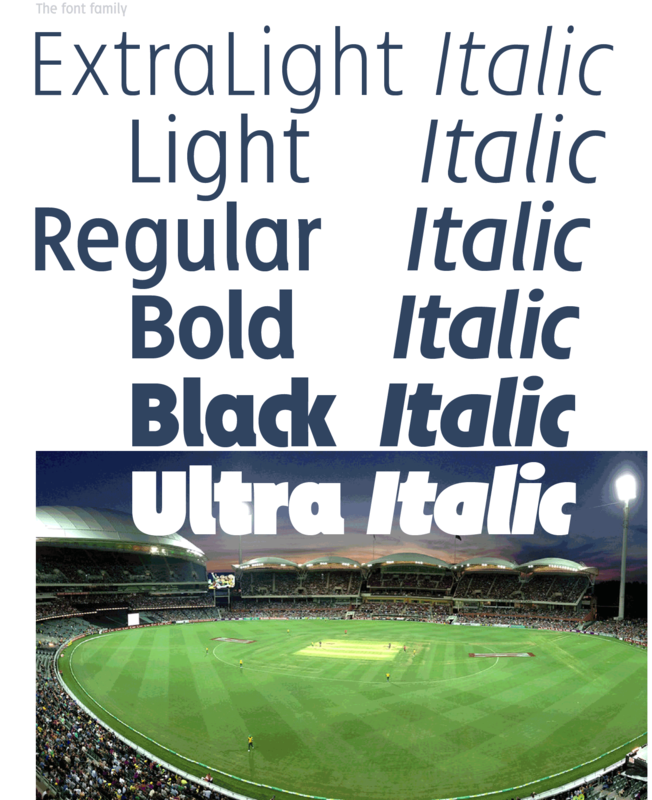 Ligatures: replaces the letter pairs ct, fi, fj, fl, ff, ffi, ffl, ft, ti, tt, tz with the respective letter combination. Discretional Ligatures: replaces the letter pairs ch, ck, mm with the respective letter combination and SS, SZ with capital-ß. Tabular Numbers: replaces the normal numbers by means of tabular numbers with identical sign width. Historical Forms: replaces s with ”long s“ and SS i.e., SZ with capital-ß.